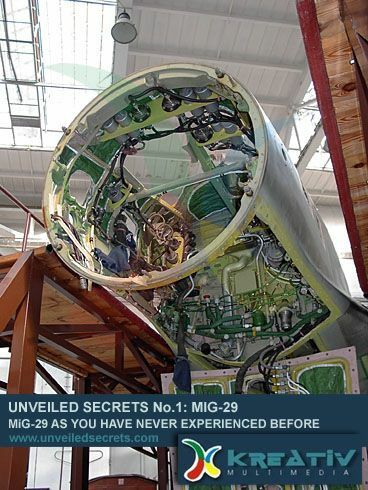 This digital publication is the the first release of the forthcoming UNVEILED SECRETS series multimedia CDs. 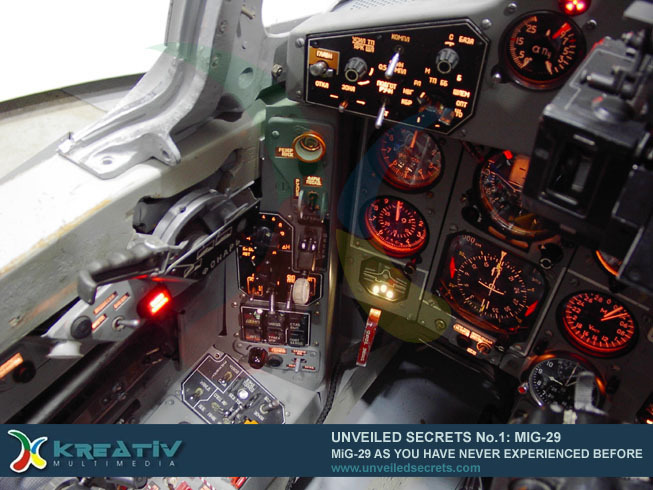 This Preview focuses on the MiG-29 Fulcrum fighter. Browsing the CD is pretty comfortable. Beta version of the CD that I had, lacked any kind of search engine but due to separate chapters there still was no problem find anything. The CD is divided into 7 chapters, not all were finished yet but just what I have seen, made me open my mouth for the first time. 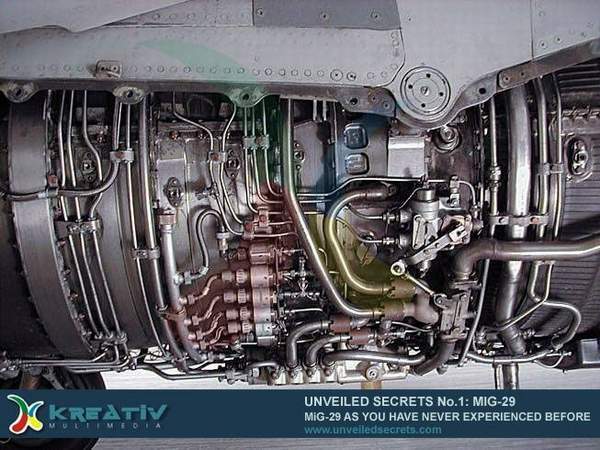 The Tech Specs and RD-33 engine are huge chapters and contain tremendous amounts of info and photodetail, machines during general overhaul with all the bowels taken out, animations and schemes that explain the most detailled engine and aircraft specs, video stuff and so on. Beta version contains over 900 photos available so far, the whole CD should contain up to 2,200 pics. 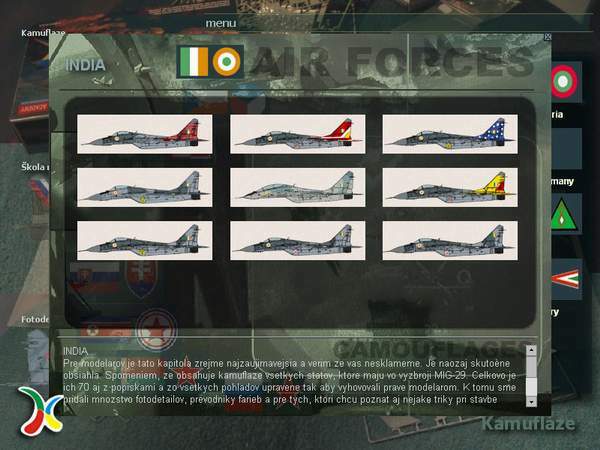 up to 80 camo schemes, and there should be even more on the final version. 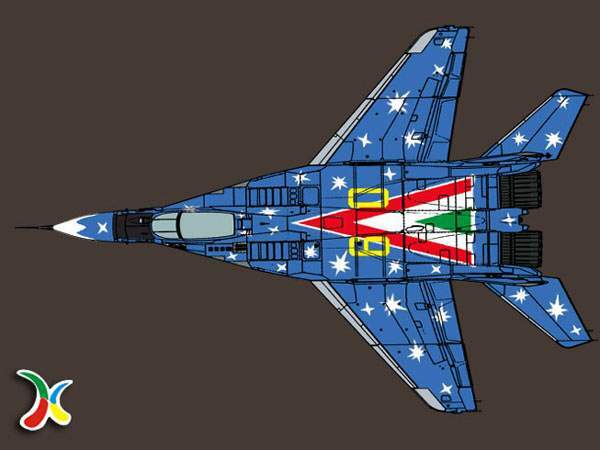 Many airforces, that I have never heard about show their most unbelievable camo patterns and schemes, all with color conversion charts and ready-to-print decals in 1/72, 1/48, and 1/32nd scale. This CD is a huge photosource for modellers but contains much more than just a mediocre modeller would need. It is also well suited for any kind of aviation geek or military fanatic. 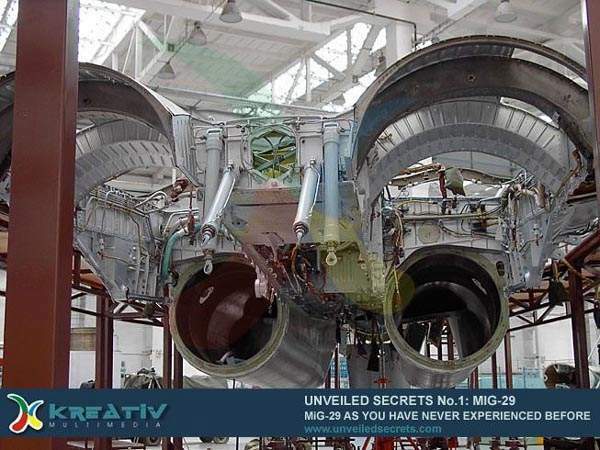 If the whole work turns out to be as good as the beta version, it will easily outperform any (not only MiG-29) publication, source, or printed reference available today. I have never seen any source so complex and so detailed. That has nothing to do with normal average.... That IS INSANE!!! Purchase this one. The date of release for the final version is planned for October 2002. The Beta version CD and posted pics were kindly donated and authorized by KREATIV-MULTIMEDIA, Ltd.